The mountaineering community is mourning the loss of two of its accomplished members who died in a fall on Ben Hope. Andy Nisbet and Steve Perry were roped together on the mountain, the most northerly munro, when they fell. It is believed they had just completed a climb and were on easier ground at the time. A major rescue operation began on the 927m (3,041ft) mountain on Tuesday involving Assynt Mountain Rescue Team and a Coastguard helicopter, but the men’s bodies were found in the early hours of Wednesday morning on the north-west side of Ben Hope. Nisbet was described as a huge icon of Scottish mountaineering. Along with his regular climbing companion Perry, they regularly posted routes on Ben Hope in the Flow Country of Sutherland. Both were stalwarts of the Scottish Mountaineering Club, with Nisbet a regular writer in climbing guidebooks. Andy Nisbet was 65 and lived in Aberdeen and his climbing partner Steve Perry, 47, was originally from Lancashire but was based in Inverness. Nisbet received the Scottish Award for Excellence im Mountain Culture in 2014. Organisers of the award said: “Over the decades Andy has gone to incredible lengths to bring climbers a highly accurate and detailed record of the tens of thousands of climbs across Scotland in the SMC’s climber’s guidebook series. “It was in winter that Andy excelled. He climbed all over Scotland – most crags have a ‘Nisbet route’ – and was the expert in Scottish winter climbing. “At one time he was the youngest to complete the munros – at that time at 19 years old. This is where we had a common interest in the hills, especially his marathon hill days with rock climbing added to produce some incredible days. “Though he was such an incredibly talented mountaineer he always had time to speak and give me and so many others the benefit of his knowledge. He was always interested in what we were up to and if we had found any new crags, on our wanders round Scotland. 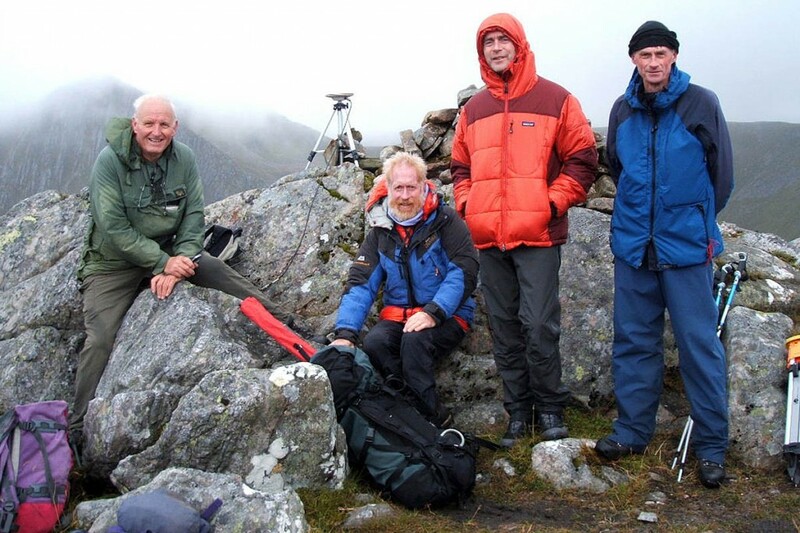 In 2012, Nisbet joined hill sleuths John Barnard and Graham Jackson to help measure two hill in Glen Shiel, Buidhe Bheinn and Sgùrr a’ Bhac Chaolais which were both vying for corbett status. The British Mountaineering Council expressed its deepest condolences to the families of Nisbet and Perry. It said Steve Perry was a highly passionate winter climber. “In recent years he established a new-routing partnership with Andy and together they pioneered the development of new winter climbs on Ben Hope, the most northerly munro,” it said. The council’s deputy chief executive Nick Colton said: “It’s terrible news. Andy was a keen and regular host at the BMC winter international meets. Dundonnell Mountain Rescue Team and members of the RAF Mountain Rescue Service from Lossiemouth also took part in the operation to find and recover the two men.